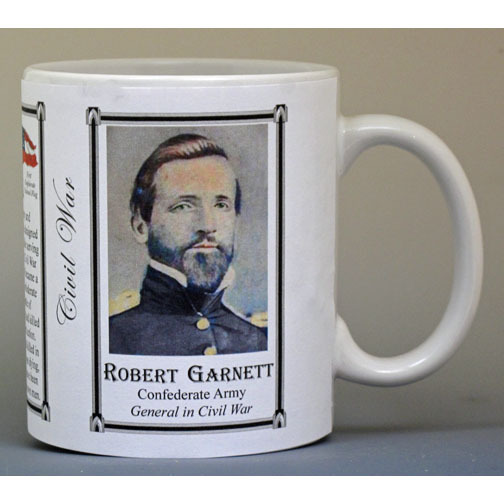 This Robert Garnett mug is part of our collection of Civil War biographical mugs. An image of Robert Garnett and a short biography are features of this history mug. Robert Garnett was a major in the United States Army and instructor at West Point. He designed the California State Seal while serving at the Presidio. When the Civil War began Garnett resigned and became a brigadier general in the Confederate States Army. At the battle of Corrick’s Ford, he was shot and killed while directing a rearguard action. Garnett was the first general killed in the Civil War. As Garnett was dying, he expressed that he may have been mistakenly wounded by his own men. The Confederate States of America was an unrecognized country, originally formed by seven secessionist slave-holding states whose economy was dependent on cotton and the plantation system. The government of the United States rejected the claims of secession and considered the Confederacy illegally founded. No foreign government officially recognized the Confederacy as an independent country, although Great Britain and France granted it belligerent status allowing Confederate agents to purchase goods and armaments. 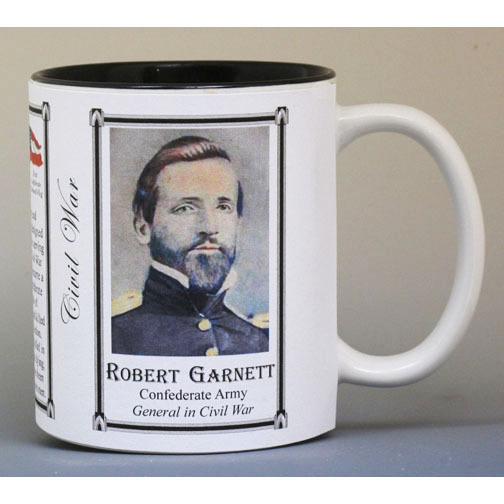 This Robert Garnett mug is part of our Civil War Series profiling participants in the War Between the States. Thousands of Confederate and Union soldiers fought in battles such as Bull Run, Antietam, Fredericksburg, Chancellorsville, Gettysburg, Vicksburg, Chattanooga, Cold Harbor and Petersburg. We honor their sacrifices by telling their stories. 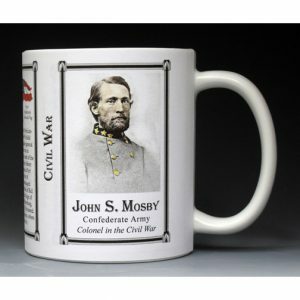 This John S. Mosby mug is part of our collection of Civil War biographical mugs. An image of John S. Mosby and a short biography are features of this history mug. 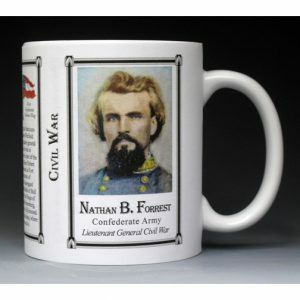 This Nathan Bedford Forrest mug is part of our collection of Civil War biographical mugs. An image of Nathan Bedford Forrest and a short biography are features of this history mug. 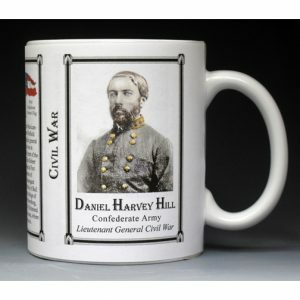 This Daniel Harvey Hill mug is part of our collection of Civil War biographical mugs. An image of Daniel Harvey Hill and a short biography are features of this history mug. This John B. Gordon mug is part of our collection of Civil War biographical mugs. An image of John B. Gordon and a short biography are features of this history mug. 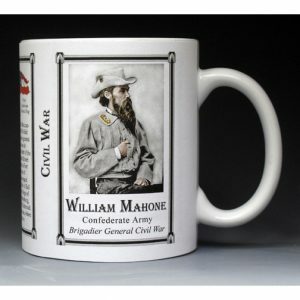 This Matthew Maury mug is part of our collection of Civil War biographical mugs. An image of Matthew Maury and a short biography are features of this history mug.